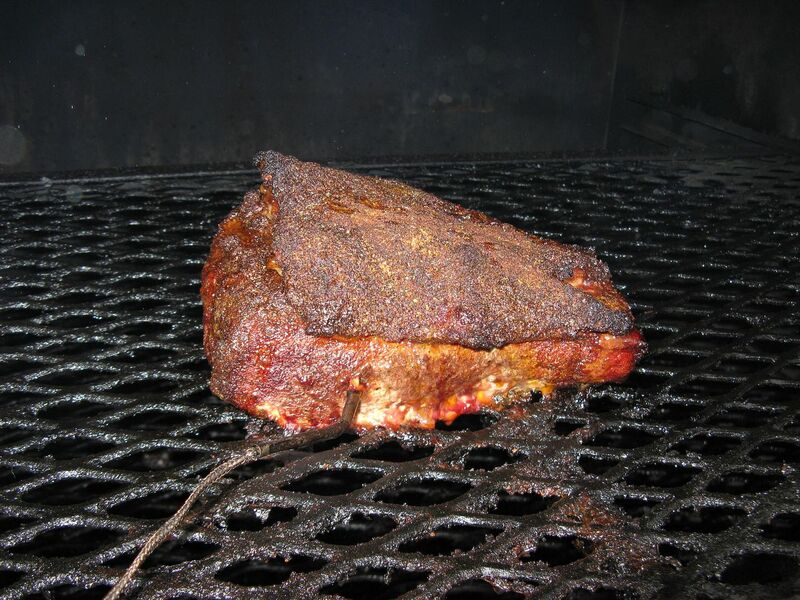 Usually when we smoke our briskets, I cook at 250 F until the brisket reaches 175 F internal temperature. Then, I place in a pan with my reserved injection, cover with foil, then cook until 195 F, or until my temperature probe slides into the meat like butter. But, in the never ending quest for six perfect slices of brisket for our turn in box, we have been trying different methods. Bring the above to a boil, then chill to 40 F so that you can inject the brisket safely. 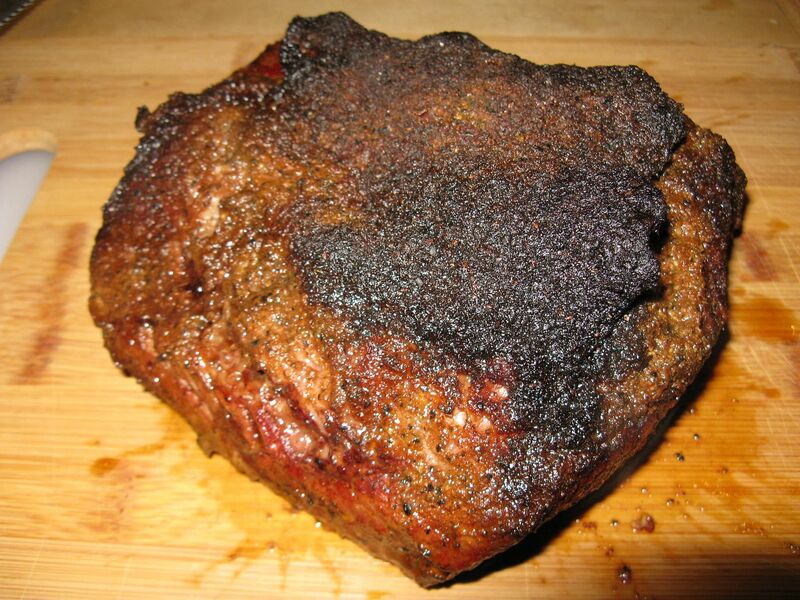 Brisket after sitting for two hours. Brought smoker to 350 F and place three pecan splits in the ash pan. Placed brisket on top rack at 1:55 pm. At 3:45 pm, internal temperature was 175 F. Placed in pan with leftover injection and foiled. 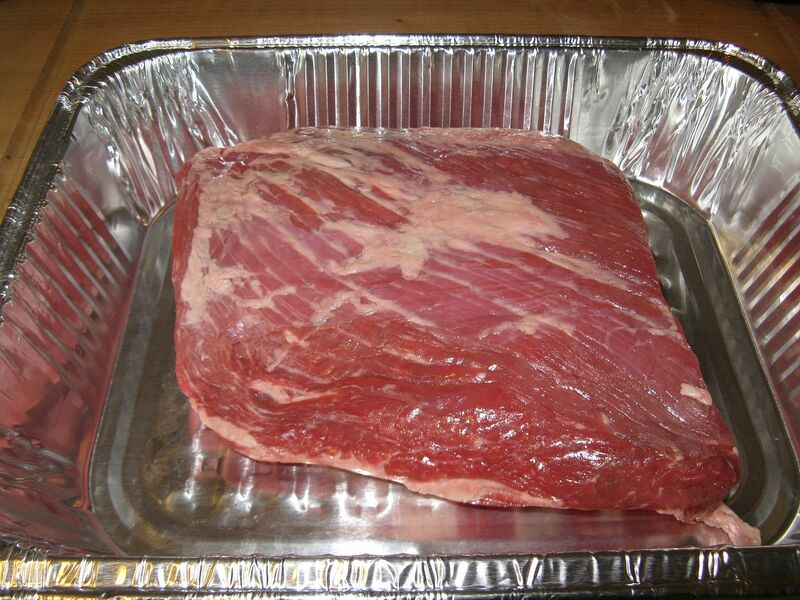 Brisket before placing in foil pan. 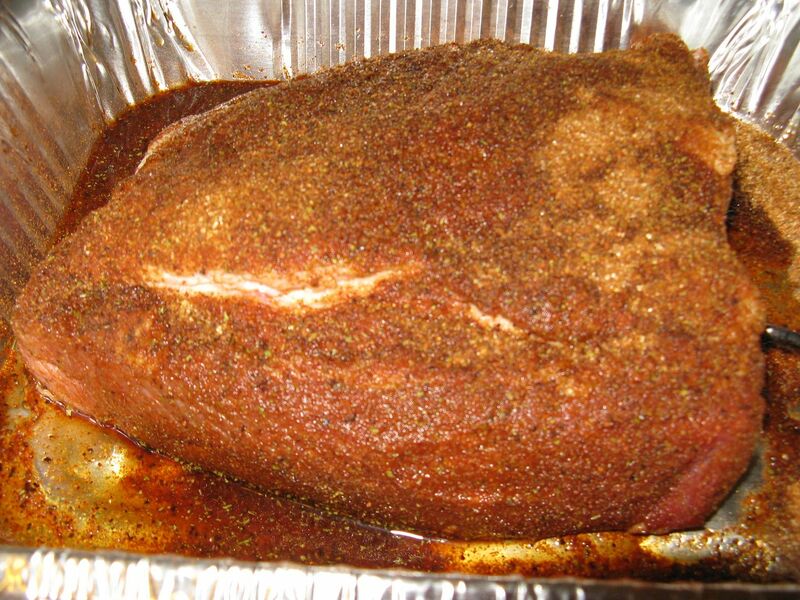 At 4:15 pm, the internal temperature was 195 F. Probed the meat every 15 minutes until the probe was sliding into the meat with little or no resistance. Brisket was ultimately pulled at 4:45 pm. Wrapped pan in towels and placed in a cooler to rest for one hour. After resting, pulled brisket from pan and sliced. I placed my slices in the au jus to take to work for reheating. 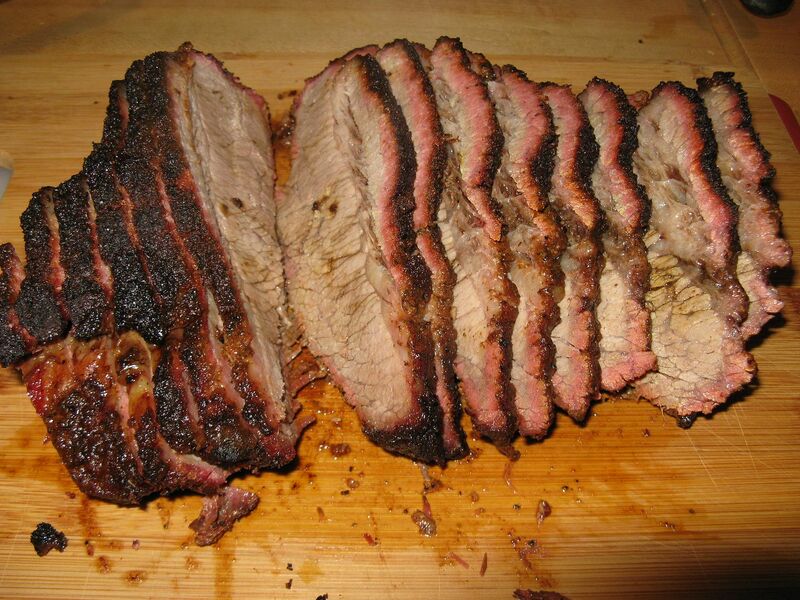 The reviews for this brisket are good. Nice bark and good flavor. It was surprisingly tender. This methods has possibilities. Next up, the Low and Slow method. My observations show higher heats are becoming more popular in competition. 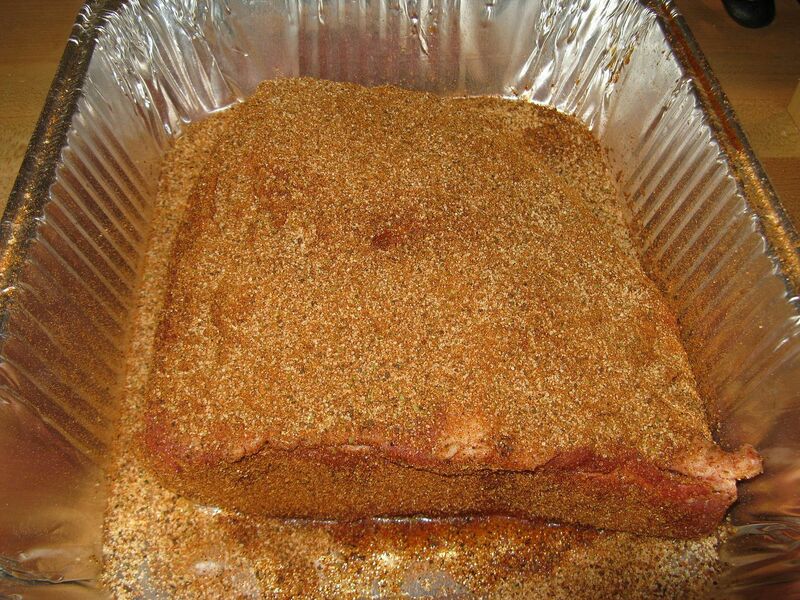 My personnel limited experiences with brisket is around 270 and wrap after several hours and the bark is set. The secret is to find the winning combination. It sure is a fun and tasty journey.